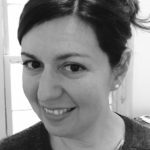 Cellist Ariana Falk currently serves as Education Director for the Worcester Chamber Music Society and runs the Neighborhood Strings and Music Camp programs. She is a former Fellow at Community MusicWorks, the Providence organization committed to creating an urban community through music education and performance. She combines performance with a passion for forging new paths in teaching artistry. As a recitalist and chamber musician, she is a cellist with the Burlington Ensemble, and has appeared recently as a guest artist on the Marlboro College and Longy School of Music Faculty Artist series, live on WGBH Boston and WVPR, with the Boston Modern Orchestra Project, and as cellist of the Worcester Bach Consort. She has collaborated with distinguished musicians including Menahem Pressler and Paul Katz. Notable past performances include appearances at Carnegie Hall, Jordan Hall, Sprague Hall at Yale and the Kennedy Center in Washington, D.C. In addition, Ariana has toured with the Grammy Award-nominated Yale Cellos, and her discography includes their most recent CD, “Cello, Celli,” featuring the music of Bach and Dave Brubeck (Naxos). 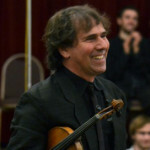 Performances of note have included the Arnold Viola Concerto with the State Orchestra of Sicily, Mozart’s Sinfonie Concertante with the Cyprus Chamber Orchestra and the Palestine National Orchestra, a Carnegie Hall debut in 1999, and a solo recital appearance at London’s South Bank in 2002. 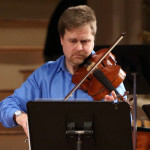 Other activities and professorships include Concert Master of Bach Consort, specializing in baroque violin concertos, and positions at College of the Holy Cross, Clark University, Assumption College, and Worcester State University. He is Artistic Director of the Worcester Symphonic Project, part of Music Worcester’s Outreach Program. 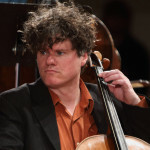 David Russell, cello – Hailed as a “superb cellist” in the Boston Globe, David Russell maintains a vigorous schedule both as soloist and as collaborator in the U.S. and Europe. He was appointed to the teaching faculty of Wellesley College in 2005 and currently serves as Director of Chamber Music. He is a regular performer with several Boston-area ensembles such as Emmanuel Music and Cantata Singers and Ensemble and served as Principal Cello with Opera Boston from 2005-2011. 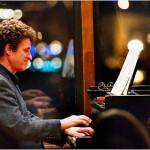 A strong advocate and performer of new music, Mr. Russell has performed with such ensembles as Firebird Ensemble, Boston Modern Orchestra Project, Entelechron, Phantom Arts Ensemble for American Music, Dinosaur Annex, Collage New Music, Music on the Edge, AUROS Group for New Music, and the Fromm Foundation Players at Harvard. He has performed and taught at SICPP at New England Conservatory, the Composers’ Recording Institute at Cleveland State University and the Icicle Creek Center for Chamber Music. Recent projects include solo recordings of works by Roger Zahab with Enelechron, Chen Yi’s Suite for Cello and Chamber Winds with BMOP, Eric Moe’s Mud Wrestling at the OK Corral for cello and piano and Donald Crockett’s Scree with Firebird Ensemble; premieres of a new cello concerto by Laurie San Martin, a new concerto for quintet and orchestra by Derek Hurst with the Firebird Ensemble and Boston Modern Orchestra Project, new works for solo cello by Sam Nichols, Roger Zahab and Andrew Rindfleisch, residencies at the University of California-Davis, the Boston Conservatory and the Icicle Creek Center for Chamber Music and, with Firebird, recordings of works by Lee Hyla and Tamar Diesendruck. He teaches at the Cello Seminar, a summer program for study of contemporary cello music associated with Music from Salem and developed by Rhonda Rider. He has recorded for the BMOPSound, Albany Records, New World Records, Centaur Records and Composers Recordings labels. Randall Hodgkinson, piano – is the Grand Prize Winner of the International American Music Competition sponsored by Carnegie Hall and the Rockefeller Foundation. He’s performed with orchestras in Atlanta, Philadelphia, Buffalo, Boston, Cleveland and abroad in Italy and Iceland. In addition, he has performed numerous recital programs spanning the repertoire from J.S. Bach to Donald Martino. He is the newest member of the Worcester Chamber Music Society, and he performs the four-hand and two-piano repertoire with his wife Leslie Amper. Mr. Hodgkinson’s festival appearances include Blue Hill (Maine), BargeMusic, Chestnut Hill Concerts (Madison, Connecticut), Seattle Chamber Music Festival, and Santa Fe Chamber Music Festival. Recently, Mr. Hodgkinson gave the world premiere of the Piano Concerto by Gardner Read at the Eastman School in Rochester. He’s a faculty member of the New England Conservatory of Music in Boston and the Longy School of Music in Cambridge. Nike Beaudry, clarinet/woodwinds received her Bachelor of Music degree in Clarinet Performance from Manhattan School of Music, and Master of Music in Clarinet Performance from the University of Massachusetts at Amherst. Prior to her degrees, Nike studied for two summers at the Saratoga Performing Arts Center in New York, under principal clarinetist Anthony Gigliotti of the Philadelphia Orchestra. Her teachers include Charles Russo, former principal of the New York City Opera Orchestra, and Michael Sussman, principal clarinetist with the Springfield Symphony Orchestra. Currently Nike is on the music faculty at Anna Maria College and is the supervisory teacher for the Afternoon Tunes program at Pakachoag Music School in Worcester, MA. She continues to enjoy performing solo and chamber recitals in and around the Worcester area. Crocodile River Music Ensemble, West African Drumming, is a local ensemble created to bring African music, art, and dance to New England and beyond. 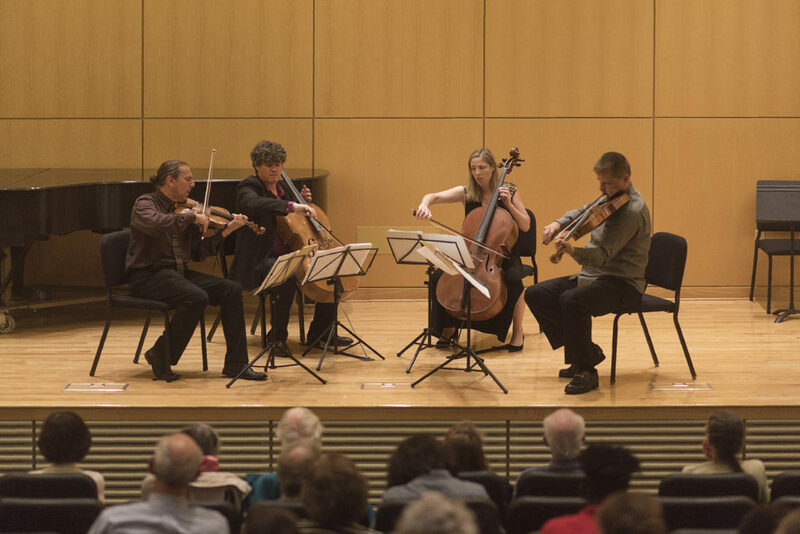 They serve various schools in the region and perform in some of the most prestigious venues in and around New England through concerts, workshops, lectures, and other educational programs. Crocodile River is comprised of a diverse group of people who have traveled all over the world sharing the cultures of Africa on a global scale. Through its Cultural Ambassador Training Program, they are proud to work with the African refugee and immigrant community, providing leadership training to young people interested in pursuing careers in education and the arts.